New Delhi: With Indian industry calling for adopting hi-tech control systems to check financial frauds, a foreign data protection expert has suggested that blockchain technology be used to prevent scams like the one unearthed in Punjab National Bank. "Blockchain is the underlying technology of Bitcoin (and other crytocurrencies) which gets its name from the mathematical representations of blocks of transaction data, chained together to guarantee immutability of stored information," Russian born Singaporean businessman, Serguei Beloussov told IANS in an interview. The Indian government has sounded an alarm likening cryptocurrencies to Ponzi schemes designed to dupe gullible investors. However, experts advise that the technology undelying such cryptocurrencies can be put to good use. The benefits of Blockchain for users include those of "data unmutability, verifiability, security and privacy," Beloussov said. 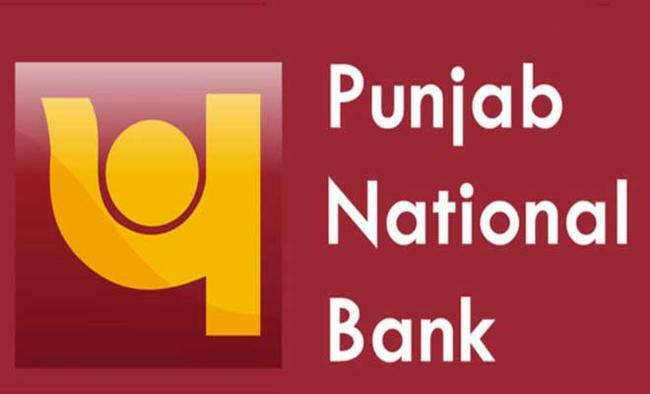 The Rs 12,600 crore scam in state-run Punjab National Bank (PNB) in the Nirav Modi case involved using letters of undertaking (LoUs) which were issued in favour of the accused by bank employees who misused their access to PNB's SWIFT -- the electronic messaging system used for overseas funds transfers. None of these fraudulent transactions were registered on the bank's internal transaction messaging system, the Core Banking Solution (CBS), enabling the fraud to go undetected for long. While standard encryption is applicable to messages sent via the Society for Worldwide Interbank Financial Telecommunications (SWIFT), the system is not infallible and is vulnerable to hacking, according to Beloussov, chairman of the Russian Quantum Center (RQC), and Co-founder and Chief Executive of Acronis, a data protection multinational headquartered in Singapore. A Phd from the Moscow Institute of Physics and Technology, Beloussov said it was the very success of cryptocurrencies, ironically, that had sidelined blockchain somewhat. "People were thinking that 2017 will be the year of blockchain...that the technology would get decoupled from Bitcoin and would be used everywhere," he said. He offered the best analogy for the current state of Blockchain as being "the early internet days, when Internet was just one of the networks you could use to access information. "Besides cryptocurrencies, Beloussov, pointed to smart contracts as another growing area of blockchain application. "Many blockchain implementations now include smart contracts as part of the platform," he said. "It allows storing computer code in the blockchain that could act on any digital assets recorded on the platform, verify that specified contractual conditions are met and automatically perform or roll-back transactions with these digital assets," he added. Blockchain technology allows entrepreneurs to incorporate their businesses on a digital distributed ledger, removing intermediaries in traditional processes and reducing friction, he said. "In tomorrow's digital world, these assets do not have to be purely monetary. It could be education record and certificates, company structure and governance or simply your digital identity that could be portable between banks and corporations and yet remain private and secure," he said. Last week, the top industry chambers called for basic changes in the banking sector to prevent scams, including bringing in the latest technology. "Government, regulators and industry must act fast to address systemic risks in the financial sector. The key solutions for the banking sector are better management and operational efficiencies, use of technology such as blockchain and big data analytics, and lowering government shareholding in public sector banks," Confederation of Indian Industry (CII) President Shobana Kamineni said in a statement earlier. She noted that "some banks are already deploying artificial intelligence, big data and blockchain technologies to better regulate their operations." While blockchain secures data with traditional digital signatures, the Russian Quantum Centre (RQC) has taken a step ahead into the future by developing quantum communications or quantum cryptography, to secure systems against the threat posed by quantum computers. While a normal computer makes calculations sequentially, one at a time, a quantum computer would be able to process information simultaneously, thus making it much more powerful. Last year, Russia announced the development of the world's first quantum blockchain which allows using a quantum cryptography and quantum data transfer system to protect databases from hacking. RQC says this device will be ready for industrial use by this year. The quantum-secured blockchain works as a decentralised distribted database to protect against malicious modifications of things like cryptocurrencies and smart contracts. The technology has already been tested by the RQC in one of Russia's largest banks -- Gazprombank, by creating a three-node quantum network between the branches of the bank in the Moscow region.